This is a special milestone for the District as we look back at some of the many achievements we’ve accomplished throughout the decades. 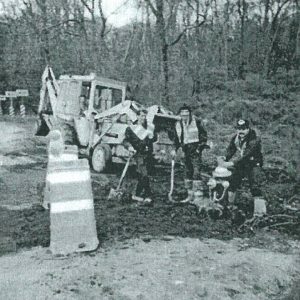 A lot has changed since 1928, yet our mission has always remained strong…To deliver high-quality water and service to the members of the Plainview-Old Bethpage community. To put time in perspective, our municipality was created one year before the great depression! Back then, we were purchasing water from a neighboring district. As the population in Plainview grew, the District began to modernize. In 1954, we built our first elevated storage tank to deliver water directly to the Plainview community. A historical perspective on the District has been cataloged by our dedicated staff, and most of the artifacts, archives and photos of years past can also be viewed at facebook.com/PlainviewWaterDistrict or download a PDF of our Commemorative 90th Anniversary Timeline. It’s important to stop and take time to reflect on the moments that helped shape the present. Our District’s past accomplishments will always be remembered, and it is upon us to keep the torch of success moving into the future. Here’s a look-back at our District…from years past through current administration. Click the photo below to view the full gallery.